Field trips are a staple part of any teacher’s out-of-classroom curriculum. But for the prepared instructor, an excursion to the neighborhood zoo can be so much more than a mere animal adventure for students. Small or large, zoos provide an amazing opportunity to target several disciplines at the same time. During a recent outing to the tiny zoo in New York City’s Central Park, I encountered enough information to support lessons or activities not only in the subject of science, but also in social studies, reading and math—all while spending time in just one well-done exhibit. The Central Park Zoo houses three snow leopards. They are on display in two separate enclosures. Attached to each enclosure is a viewing area for the public. And within those viewing areas is a wealth of interpretive signage that sets students up for applied learning. This single snow leopard exhibit will illustrate how you can engage your own students in multiple school subjects with a single visit to the zoo near you. Let’s start with science. One station emphasizes the physical attributes snow leopards possess that enable them to succeed in their high-altitude environment. The station explains that their enormous paws act like snowshoes when the cats walk across snow. It discusses their retractable claws, which project from their feet on demand like the blade of a box cutter to grasp prey. And it mentions snow leopards’ incredibly long tails, which they use for balance while leaping from one rocky ledge to the next. To talk about these adaptations, a teacher might first provide students with activity sheets that bear the outline of a snow leopard. Then the students may move through the exhibit, and circle on the outline the physical parts of a snow leopard that make it a terrific predator. Use this technique in your own class by fitting it to the fauna found in your local zoo. A second subject on display is social studies. Nearly all zoos highlight geography, and the snow leopard exhibit is no exception. There are multiple maps in the exhibit. 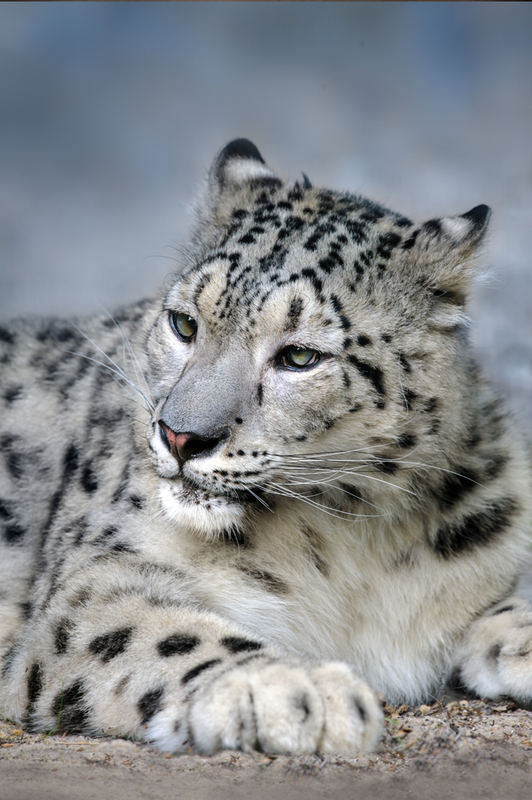 One discusses the joint preservation efforts of the Wildlife Conservation Society and the specific countries where these snow leopards live. In this case, the information is particularly important because the countries highlighted—such as Afghanistan, Pakistan and China—are often portrayed to children in only political, and negative, ways. This shows children that conservation is a unifying, and worldwide, concern. Find a display in your zoo that outlines where animals live. Provide your students with a sheet that shows blank outlines of the countries on a specific continent. Ask them to color the area that constitutes the home range of the animal in question, and write in the country names where the animal can be found. To interest your students in the information all around them, develop a set of questions that can only be answered by carefully reading the paragraphs at each station. Vary the question type—multiple-choice, fill-in-the-blank, or matching for example—and try to create questions that force students to make connections beyond the facts presented to them. It can be difficult to interest students in math, but this snow leopard exhibit offers a couple of clues about ways to creatively introduce the subject to your students. On the pathway near the exhibit are two parallel lines set a good distance apart. They show how far a snow leopard can leap. In real life, these fantastic felines are able to pounce on prey up to 45 feet away. Kids naturally want to get a running start and launch themselves from one line to see how they fare in comparison to a snow leopard. You could determine statistics (length, speed) about an animal near you and have students try a similar stunt. Just be sure to ask them how far they surpass or fall short of the animal, so that math is on their mind. A separate display shows the normal elevation range for a snow leopard, which is somewhere between the top of the Empire State Building and the top of Mt. Everest. It states that Mt. Everest is as tall as 23 Empire State Buildings stacked atop one another. A teacher might introduce math by asking students to compare the mountain’s height to another contemporary building, in this case the world’s tallest Burj Khalifa, which soars to an incredible 2,723 feet in the city of Dubai. It only takes about 11 Burj Khalifa’s to total Mount Everest! You can determine measurements about animals in your area and compare them to common items that students see every day. It’s one way to make math immediate. While I was visiting the exhibit, one of the two female leopards, Chocolate, sat down on a nearby rock and stared pointedly at the crowd of human spectators. Ask your students to choose one animal at the zoo you are visiting, and write a few-paragraph (or few-word for younger students) essay from the animal’s point of view. What are the animals thinking? Are they annoyed? Delighted? Bored?